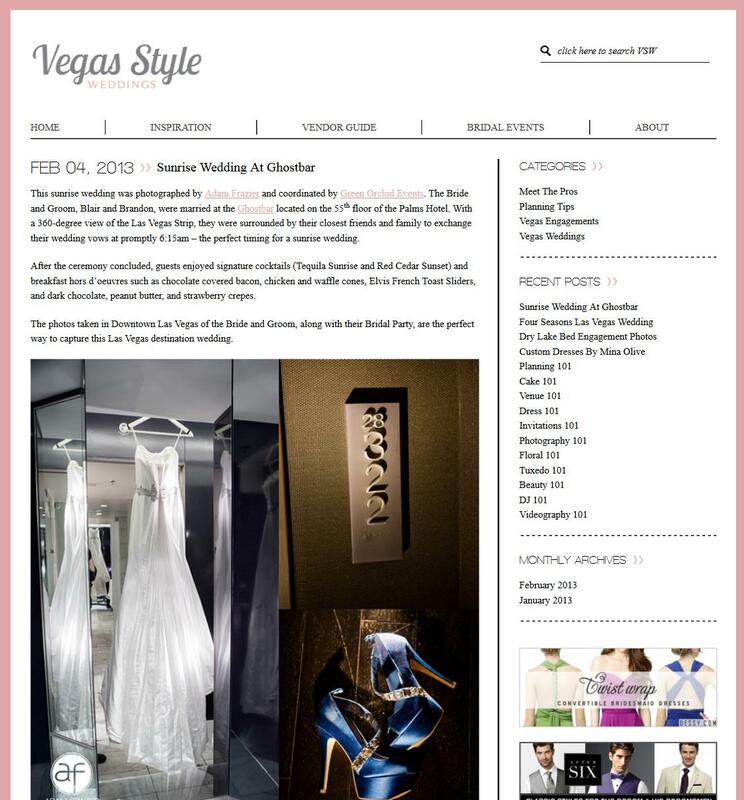 Have you seen the new wedding blog dedicated to Las Vegas weddings yet? It's called "Vegas Style Weddings" and I'm glad someone finally had the desire to put something like this together. It's a wedding blog put together with the goal of showcasing Las Vegas as a destination for beautiful Las Vegas weddings. And guess what? Blair and Brandon's sunrise wedding has been featured on the blog! Go check it out here.